Three giants in the field of cochlear implant research have received the prestigious 2013 Lasker~DeBakey Clinical Medical Research award for the development of the modern cochlear implant. Graeme Clark, whose efforts led to the commercially available implants at Cochlear Ltd, and Ingeborg Hochmair, whose parallel efforts led to the MED-EL Corporation’s cochlear implants, have relentlessly pursued the monumental engineering and biological challenges of creating the most successful neural prosthesis by far. While the original multi-channel cochlear implants afforded most recipients access to sound, many still needed to rely on contextual or visual cues to understand speech. These early implants were marvels of engineering, science, and biotechnology. However, without advanced stimulation protocols, they were like powerful computers without software that fully exploited their capabilities. Blake Wilson and colleagues developed a new stimulation protocol comprising a number of key elements. This method, known as CIS (Continuous Interleaved Sampling) provided an immediate and dramatic improvement in cochlear implant performance, and is the basis for stimulation in all modern cochlear implants. Early in the process of exploring different protocols (funded primarily by the National Institutes of Health), Blake Wilson’s team at Research Triangle Institute in North Carolina recommended that the results from the research be donated to the public domain, forgoing potentially enormous personal and organizational royalties and other income. This supremely altruistic choice enabled as many people as possible to achieve maximum benefit from cochlear implants. Given that the cumulative global sales of cochlear implants is on the order of ten billion dollars, Wilson’s own estimate of the cost of that decision in the tens of millions appears to be quite conservative. Indeed, without this one selfless act, cochlear implants would not have become nearly as effective or widespread, and outcomes would not even come close to what we can expect from a modern cochlear implant. Without volunteer test subjects, none of the research would have been possible. Many cochlear implant users have donated countless hours to research. These efforts continue today, and are always rewarded with gratitude from the researchers. To explore different stimulation protocols, the researcher would prefer to have direct access to the individual electrodes. Today’s cochlear implants are quite sophisticated, and interpose a significant amount of electronics between the external interface and the actual electrodes. Much of the testing during the development of CIS was conducted with subjects implanted with the Ineraid device. This implant had a percutaneous connector, ideal for applying experimental stimulation strategies. The Ineraid device is no longer manufactured. Compressed Analog, one of the more straightforward early strategies available prior to CIS, compresses the wide dynamic range of sound into the more limited electrical dynamic range needed for electrical stimulation. The signal is then split it into frequency bands to be presented to the individual electrodes. This method mimics the natural hearing process, although the number of electrodes is minuscule compared to the number of hair cells in the cochlea. The thought behind the CA strategy is to present the brain with as much information as possible, and to rely on the brain to process this rich information set. Because all electrodes are stimulated continuously and simultaneously, uncontrolled interactions between channels degrade performance. In order to reduce interaction between channels, the electrodes may be stimulated at different times. Each electrode presents a pulse proportional to the signal strength in that channel. Because only one electrode is stimulated at any given time, channel interactions are greatly decreased. Applying this Interleaved Protocol at a much higher rate for the whole array of electrodes is a key feature of CIS. Other early strategies included feature extraction, which attempted to present primarily the important parts of sound for speech comprehension. Eventually it was determined that presenting as much information as possible, and letting the brain sort out the speech, proved to engender the best performance of the different approaches. 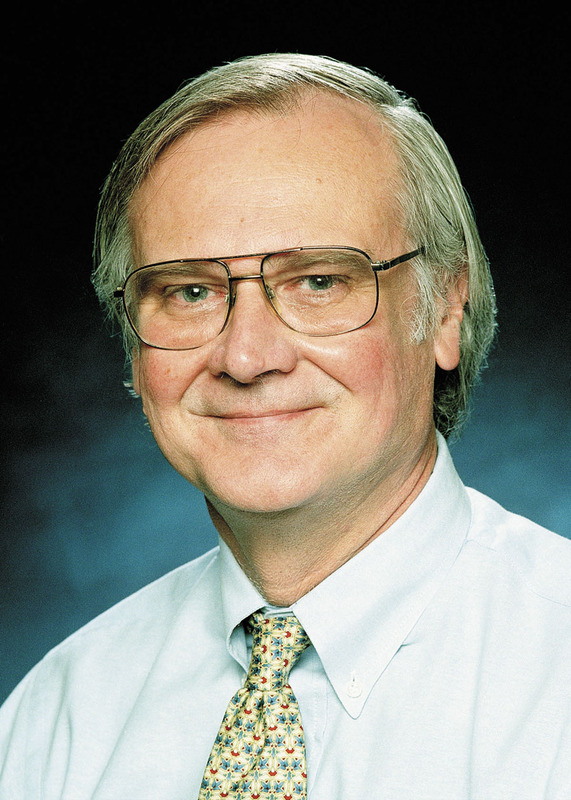 The global cochlear implant community, and indeed society as a whole, owe Blake Wilson a tremendous debt of gratitude for his seminal contributions to the field. This entry was posted in Blog, News and tagged Blake Wilson, CIS, cochlear implant, cochlear implants, Lasker~DeBakey by CochlearImplantHELP. Bookmark the permalink.